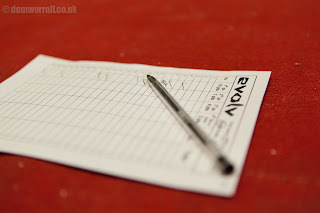 We've been having a close look at our current Evolv Winter Bouldering league setup as we felt Round 1 was not what we wanted in a Climbing Works competition. 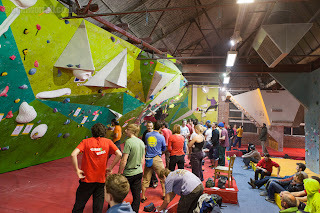 We want a vibrant comp scene with people keen to get involved in, and have a go at, each round. 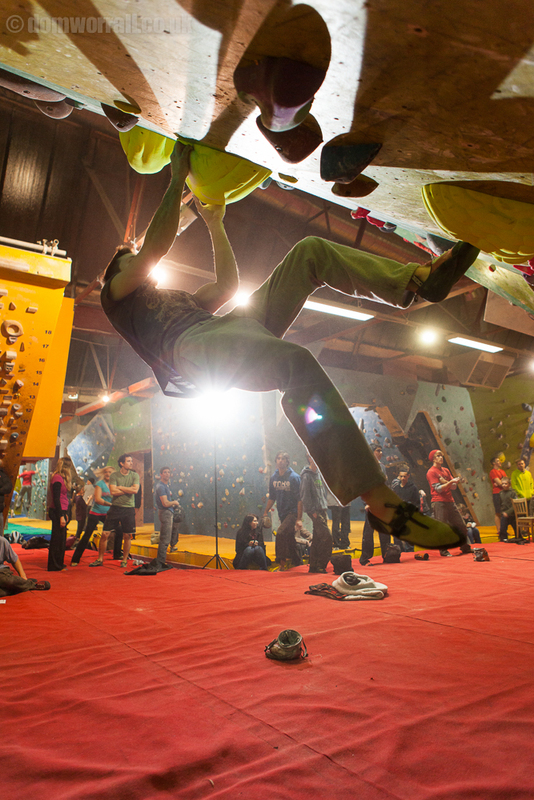 We want people psyched to try fresh new problems, something for them to test themselves on. 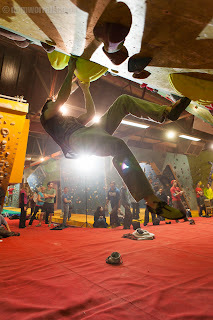 We changed the bouldering league format a few years ago as we wanted to shake things up a little. At that time we introduced a cash prize for a Male & Female top end boulder. 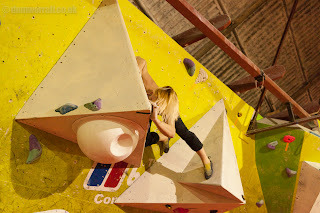 This was to entice those climbers who don't usually compete to come down and test themselves on some of our mad creations. It was to inspire those who couldn't fathom climbing it themselves, by watching some of the country's best push themselves a little bit further for the send. For the last few years it has been a success but last year and at this years first round we have begun to notice that people are only coming down for the cash problem. From being part of the competition, it has become the competition for some. We never like to stand still and we certainly don't like to be boring. So we've decided to change things around for the Evolv Winter Bouldering league starting from the next round on Friday 14th December. Gone are the cash blocs and in comes a special 25 point bloc for both Male & Female. As most people know points make prizes. Instead of a cash prize per round we're offering a cash prize for the top scoring Male & Female after the end of 4 rounds. Your score in this years Round 1 will count and it will be the top scores who will be crowned champions after all 4 rounds. But that's not all. Just because you don't come first doesn't mean you don't get the chance to win some cash or prizes. Whether you are consistently winning each round or just taking part in one or two it will be worth handing in your scorecard at the end of each round. 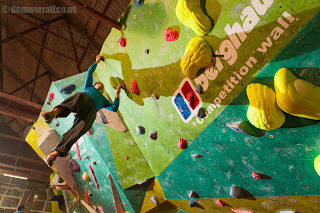 We also realise that we have been setting alot of problems for the elite end of the spectrum (it is a competition wall after all) but we're going to try and create some amazing blocs in the amenable grade range also. Our goal is for people to enjoy themselves in a competition setting. Whether that is competing against themselves, with their friends or going for the top spot. We know the above is no revolution in competition setups but this will be a stop-gap that we hope will get people psyched to come get involved and try that little bit harder...until we come up with something interesting and different for Winter 2013.